Do You Need To Know How To Stop Foreclosure Now? So, your facing foreclosure and would like to learn how to stop foreclosure now? We have taken the time to create a few free online guides to help homeowners and families in our community just like you find figure out all of your options on how to get out of this dangerous and stressful situation. First of all, don’t beat yourself up too bad over it you are definitely not the first person or the last to go through a foreclosure… It is more common then you would think so stay positive their are solutions. It just happens. Our best advice and the best thing you can possibly do right now is to take the time to educate yourself on each and every option you have. For some homeowners selling your home is the best option (and we can help you do this today, contact us to inform us about your situation click here, in most cases we are able to help homeowners completely STOP FORECLOSURE, and sometimes there are other even other options as well. 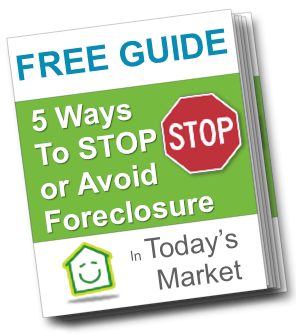 Just go above and click one of the buttons for your free foreclosure guide. Can you help me sell my house fast Dallas Fort Worth and stop foreclosure?? ?